OM Design & Print part of OM Media Group operating from Plymouth, Devon providing low-cost printing and design services to clients locally and throughout the UK. Established in 2003, OM Design & Print’s staff have years of experience under their belt and are always ready and willing to demonstrate their expertise. Capable of assisting you with absolutely anything you need, OM Print & Media is a one-stop shop for your print advertising needs, allowing us to offer the some of the most competitive prices and cost-effective solutions in the UK for Business Cards, Letterheads, Compliment Slips, Leaflets, Folders, Flyers, Order Pads NCR’s Banners, Posters and more – all with FREE next day delivery. A4 Folded Leaflets, full colour, 130gsm gloss – these are great for price lists, promotions, further information and more. Can be folded in half, twice or custom fold. Business Cards – double sided, thick 450gsm + matt lamination – The simple, yet very important item every business or individual needs. We don’t mess around and all of our business cards are printed on thick 450gsm card stock. On offer we have our luxury matt-lamination to add a silky smooth finish. For competitive quote on any printed related item, please call 01752 691022 or email tom@ommediagroup.co.uk for more information. 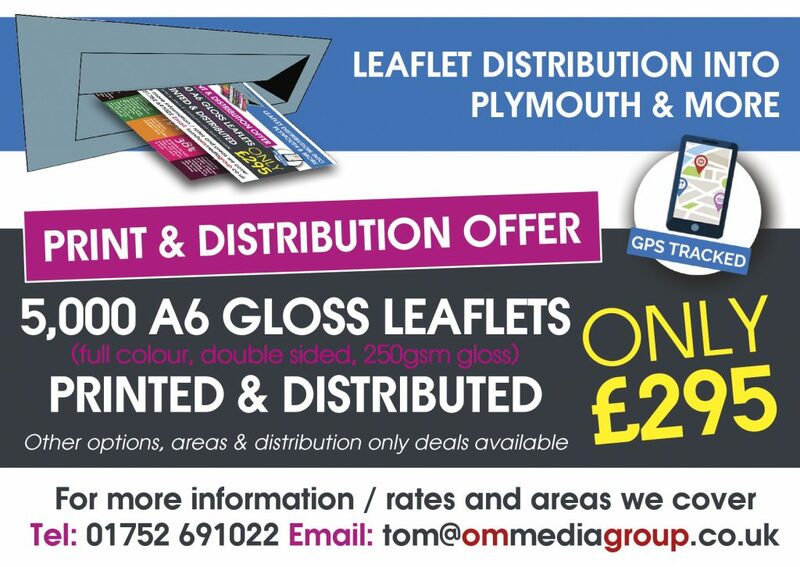 OM Design & Print also offers a local leaflet distribution service around Plymouth and the surrounding areas. To ensure we deliver the highest quality service possible, we have our in-house team of motivated adult distributors and utilise state-of-the-art GPS tracking. This form of advertising is still one of the most effective, especially when combined with high-quality design and offering a form of discount or offer. 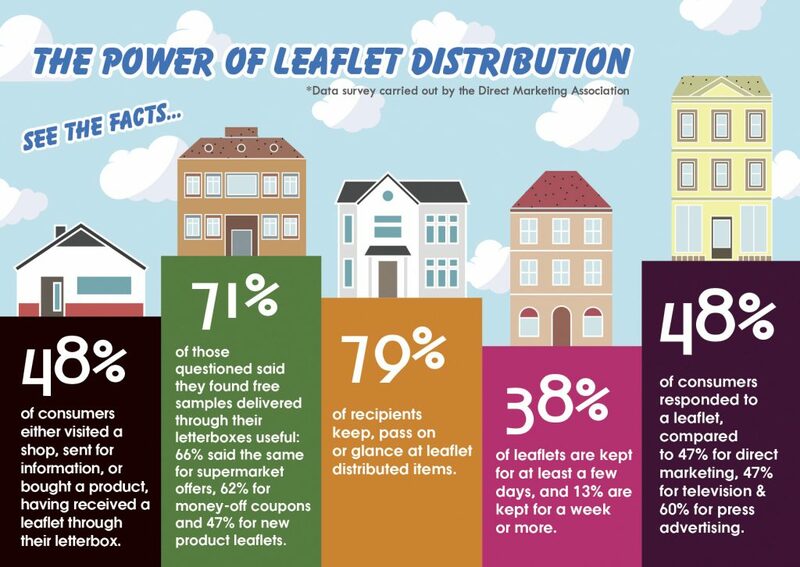 A survey conducted by the Direct Marketing Association found that ‘79% of recipients keep, pass on or glance at leaflet distributed items‘ and ‘48% of consumers responded to a leaflet‘. Our quality shared distribution service costs as little as £39 per 1000. Need help with design or printing for a leaflet distribution campaign? OM Design & Print offers bundle deals for either design, print and distribution or if you have your own print ready artwork; print and distribution deals. Please Note: The price you see is the price you pay – no VAT. For more information and details on the areas that OM Design & Print cover, please email tom@ommediagroup.co.uk.